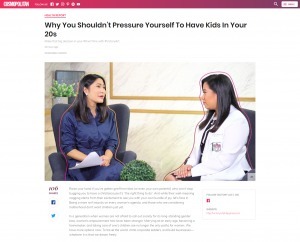 You can read the full article of Cosmo Philippines to learn more about Egg Freezing and how Victory ART Labs can help you. But if you have questions, feel free to check out our FAQ or you can book an apppointment. Victory ART Laboratory now offers, Anti- Mullerian Hormone Test (AMH) AMH is the new insight in determining the ovarian function. This test can be taken anytime without any menstruation nor fasting required. Results are tested every Saturday and released every Monday.